1) To encourage a productive class environment: Uniforms help students focus more on their academics and less on the peer pressure associated with keeping up with the latest fashion trends. 2) Modesty: Uniforms eliminate inappropriate clothing and eliminate the question of what is modest as defined differently per family. 3) Preparation for life: Uniforms prepare students for their future jobs where they will more than likely have a work dress code they will need to adhere to. Chapel uniforms also help teach students professionalism and that there is a time to dress up: special events, job interview, certain church functions, and so on. 4) Increased school safety: It is much easier to identify nonstudents and strangers when the students are dressed uniformly, especially on field trips. 5) Easier mornings at home: Uniforms simplify the "what do I wear" question, making it much faster to get dressed and out the door! 6) Money savings: Uniforms eliminate the need for parents to buy a full wardrobe. 7) A greater appreciation for dress-down days! 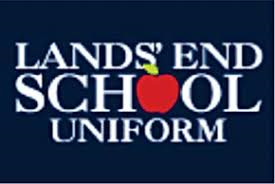 Uniform wear (chapel and casual) is purchased through Lands' End. Our school code is 900183211. You will need to create an account to start shopping TSCA's personalized product checklist.